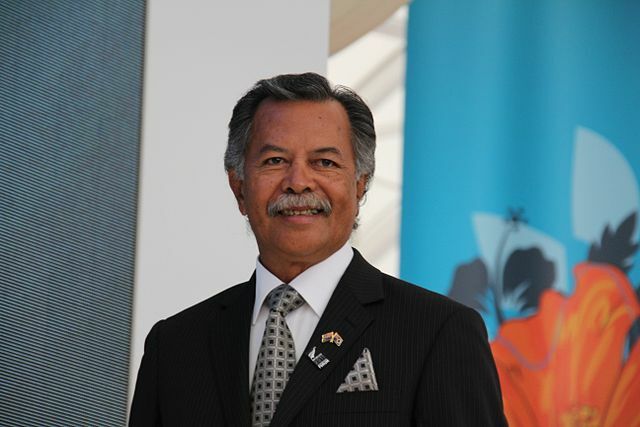 “One hundred percent renewable energy by 2020… It is ambitious but it is not impossible,” Henry Puna, prime minister of the Cook Islands, told IPS in a recent interview. The Cook Islands is one of those low-lying island countries that will drown without serious cuts in the carbon emissions that are warming the planet and melting the world’s ice sheets. Home to just 14,000 people, the Cook Islands is made up of 15 small islands spread over an area the size of India in the middle of the South Pacific. The entire country’s carbon emissions are about equal to those of the average U.S. or Canadian town of 3,000 people. With an action plan born of desperation, it wants to be the world’s first zero-carbon emissions country by 2020. With little renewable energy at present and dependent on foreign aid, the Cook Islands plans to generate half of its energy with renewables just four years from now and reach 100 percent by 2020. IPS senior environmental correspondent Stephen Leahy spoke with Prime Minister Puna at the Vienna Energy Forum in June, where 1,200 delegates from 120 countries and over 40 government ministers discussed how to bring clean, reliable and affordable energy services to everyone on the planet. 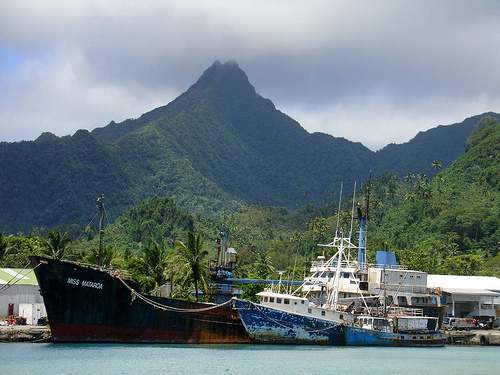 Q: The Cook Islands have a tiny carbon footprint. Why are you making this commitment to be 100-percent renewable? A: Statistically, our carbon emissions don’t register. As a people we want to do something about climate change, if not for the world than for ourselves. Nearly all of our energy comes from oil [diesel and petrol] and we spend half of our national budget on oil. That’s tens of millions of dollars that leaves our islands. We want to keep those millions in our local economy. Cook Islanders people are strongly supportive of our dream is to be the cleanest and greenest destination in the world. One day the world will want to know how we got to 100 percent. Q: Are you hopeful the international community will finally agree to make the necessary carbon emissions cuts to keep global warming to less than two degrees C? A: The reality is that things move very slowly at the international level. At the [Vienna] forum, I urged the international community to ensure that global carbon emissions peak by 2015 and begin to decline. We need to act fast. This is the decade where we must bring emissions of climate change under control. Our circumstances differ, we have different life experiences….but we are all part of Mother Earth and should share responsibility to keep her livable for all of us and not just for some. Q: Are Cook Islanders worried about climate change? A: The Cooks are already suffering from sea level rise, coral bleaching, more frequent and stronger cyclones, changes in precipitation, and increases in coastal erosion. We live off the sea and the land – we depend on nature for our livelihoods. Anything affecting nature causes alarm amongst people. Climate change threatens our very survival. There is a general sense of apprehension about the future. Q: What makes you believe you can achieve your ambitious target? A: Yesterday, I visited Güssing [in Austria], an impoverished town in the 1990s that re-made itself by going 100-percent renewable energy. They got rid of fossil fuels and achieved energy independence. They also attracted lots of clean and green businesses and become a tourist centre. I spent time with the mayor. They’re going to come to the Cooks and give us advice. They are willing to share their experience. I’m absolutely excited by this. Q: Your country has few financial resources. Do you really think the Cooks can do what Güssing has done? A: It’s a small town and we’re a small country. What I learned from Güssing is that if there is the political will backed by public support, then anything can happen. We already have a plan for a two- megawatt solar plant in one of our islands. We have support from Japan, New Zealand and UNDP [the United Nations Development Programme]. Q: What are some of the obstacles you have to overcome? A: The technology to generate all of our energy already exists but energy storage is the key. We also need to make sure some of this will be able to be used and maintained by isolated communities without the technical skills. A: Knowing we are taking action helps us feel good even if the world does nothing. We’re not doing this just for the Cook Islands. It is our contribution to improve the overall global environment. First published as Q&A: Cook Islands Aims for 100 Percent Green Energy by 2020 – IPS ipsnews.net.